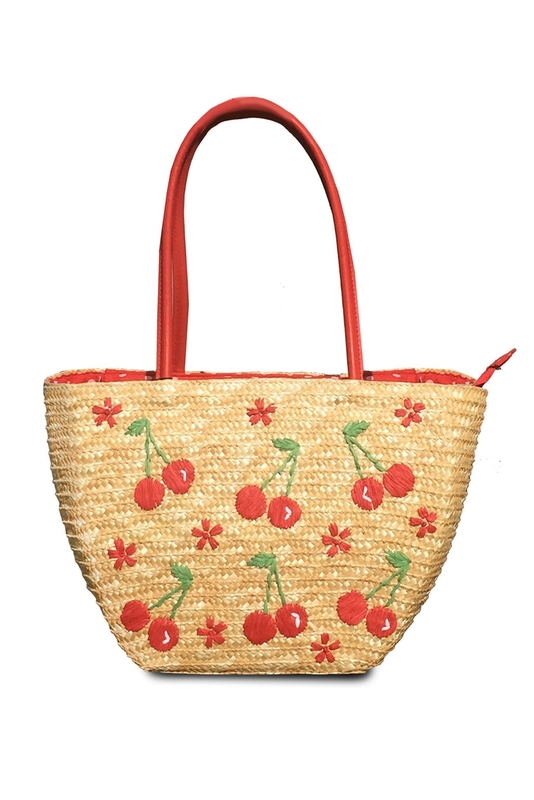 This super sweet straw bag will be the 'Cherry on Top' of every outfit! For your picture-perfect holiday outft ensemble, this gorgeous bag features a cherry motif woven in straw. Bellismo! Size approx: H10" x W13" x D5"